More often than not, parts or jigs for historic vehicles are still available and new bespoke manufacture is not necessary. We have extensive International contacts that enable us to source most components. 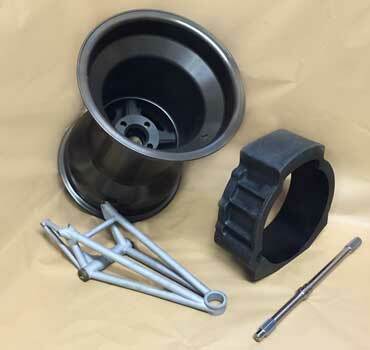 We hold a varied stock of both new and 2nd hand parts, as well as jigs, bodywork moulds, and casting patterns and are known for our selection of McLaren spares. In addition to spares we can source complete vehicles and arrange inspection, import, delivery and recommissioning as necessary. Our inventory has yet to be collated, please contact us for any specific requirements.